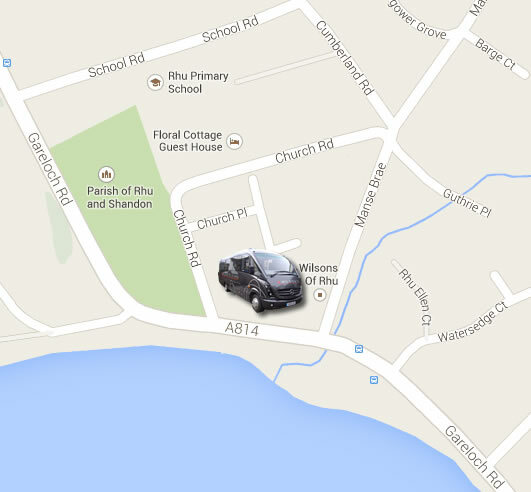 We are based in the village of Rhu on the banks of the Gareloch in Argyll and Bute, Scotland. The maps below show exactly where we are situated. We are very close to Loch Lomond and the main tourist route to the north. The three main Scottish airports of Glasgow, Prestwick and Edinburgh are all within easy access to accommodate any national or international visitors wishing to travel to destinations in the UK or Northern Ireland.